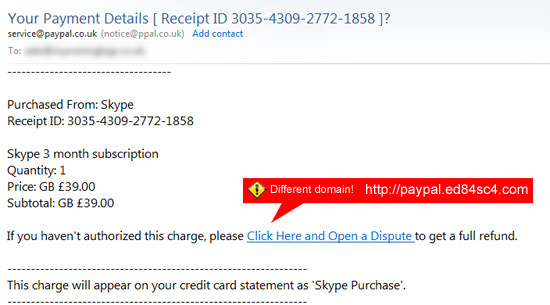 We all get phishing emails - your NatWest account has been suspended, your eBay account has been compromised, etc. They are bogus emails trying to scare you into giving away your details. 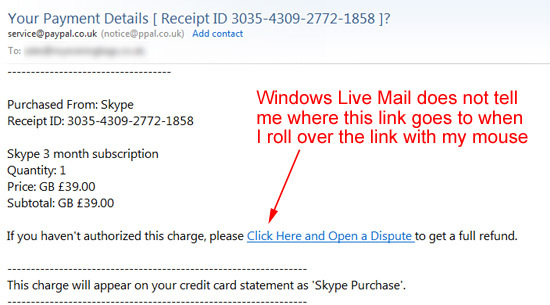 They will always contain some kind of link within the email that they want you to click on. This link takes you to a page that looks ostensibly like a legitimate site and it's there that they hope you will "login" and reveal your username / password of whatever account they're trying to get details of.